He was born on October 22, 1908 in Barcelona. Favorite characters Zipi and Zapi, as well as Carpathian. He was also the author and actor of the theater, as well as one of the pioneers of animation in Spain in the 1920s and worked on early Spanish animation films, such as “La ratita que barría la escalerita”, a small staircase. Escobar grew up in Granollers, Catalonia, where his father worked in the post office. In the 1920s, Escobar began working in Catalan magazines such as Virolet, La Gralla, Diari de Granollers and Sigronet, while he also held a post in the post office, like his father. In the 1930s, he worked in other journals, such as Papito, Pocolo, SDW, L’Esquello and L’Esquell de la Torratha. Member of the Union of Professional Cartoonists after the Civil War in Spain Escobar was released from his postal duties and imprisoned for a year and a half for this activity. It was released in 1940, although his movements were limited. In prison, Escobar earned a little money. After the prison, in 1944, he began to draw comics and was one of the first employees of the magazine Pulgarcito, these comic books were published in 1947. He created Zipi y Zape for Pulgarcito, as well as the ever-hungry Carpanta, a symbol of suffering in post-war Spain. 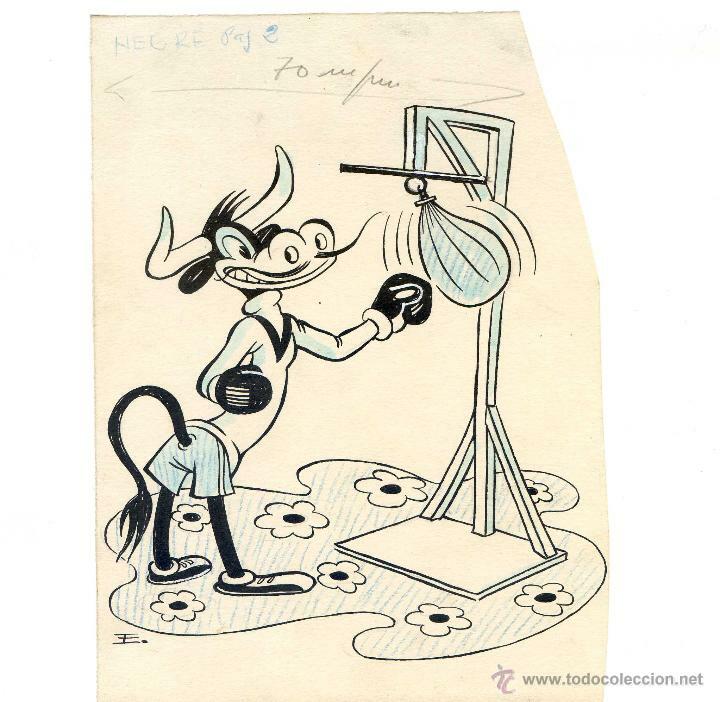 For the magazine, known as El Campeón, he created in 1948 bandits Tres Pelos y Kid Pantera. His series Doña Tula, suegra (1951) was censored because of his representation of marriage as one problem after another. In 1957, Ecobar was one of the founders of the independent magazine Tío Vivo, who would later be absorbed by the editorial office of Bruguera, who was responsible for Pulgarcito and other journals, followed by Genobedo (1963), Don Óptimo y Don Pésimo (1964) and Plym, El Magno 1969). Nevertheless, he continued to work on the development of stories about Zipi and Zapa and Karpanta. 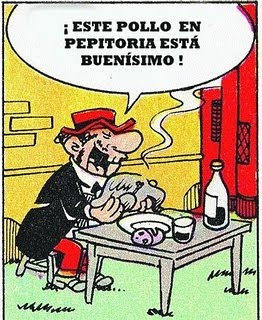 His characters Zipi y Zape received his own magazine in 1971. With the release of the Bruguera editorial board with other artists (such as Ibáñez), a new Guai! Magazine appeared published by the Grijalbo editorial board, for which he created the characters of Terre y Moto, brothers based on Zipi y Zape. 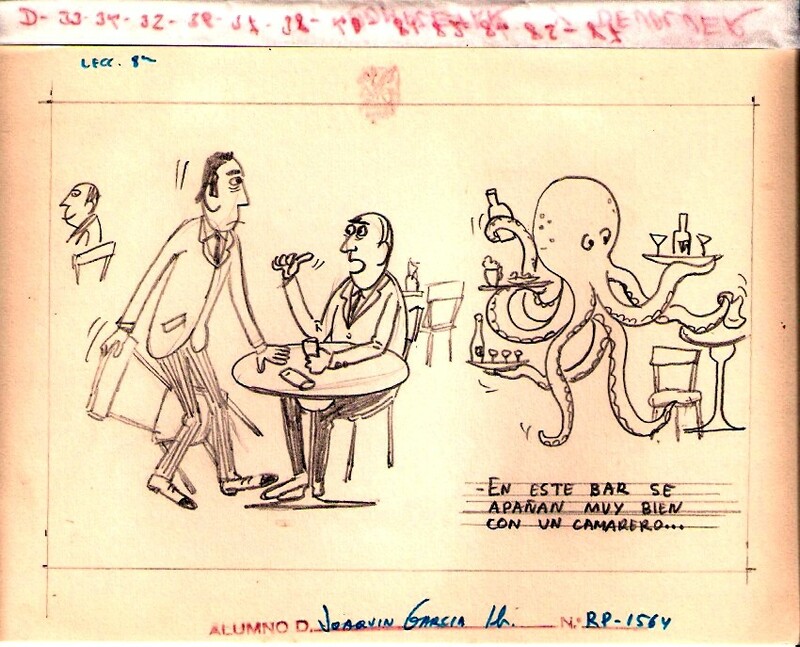 Escobar returned to drawing Zipi and Zapa and continued work on this series until his death.